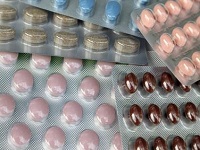 The research also found that each additional course of antibiotics further raised the risk of eczema by seven per cent. The researchers, from Guy’s and St Thomas’ NHS Foundation Trust, King’s College London, the University of Nottingham and the Aberdeen Royal Infirmary, reviewed existing data from 20 separate studies that explored the link between antibiotic exposure prenatally and in the first year of life, and the subsequent development of eczema. They also examined whether the number of antibiotic courses affected the chances of developing the disease. They found that children with eczema are more likely to have been treated with antibiotics in the first year of life, but not prenatally. “One potential explanation is that broad-spectrum antibiotics alter the gut microflora and that this in turn affects the maturing immune system in a way that promotes allergic disease development”, said one of the study authors Dr Teresa Tsakok of Guy’s and St Thomas’. The researchers added a note of caution to their findings, explaining that use of antibiotics may in fact be a consequence of an increased occurrence of infections in children with eczema. Further research is needed that carefully examines the sequence of events between the age antibiotics are prescribed and the onset of eczema development. This is a really interesting and enlightening article. My daughter had a large dose of antibiotics at the age of 5 months due to suspected meningtis. Until this time she had perfect skin. Within days of having the antibiotics she developed severe eczema and I was convinced there was a connection but nobody would confirm at the time. Research and subsequent articles like this help people to make sense of what’s happened – one of the most frustrating things about an illness is partly about controlling it and having a quality of life, but also understanding what caused the illness in the first place. With some health issues the causes are easily identifiable but with others it’s far more difficult. More research into more diseases will help not only to make sense of it all those affected by the condition, but will help to prevent others from perhaps suffering in the future. My eight-month old baby has eczema. I notice she has mild scaly cracked and dry reddish spots on her skin. Her doctor referred a dermatologist who advised to stop the antibiotics given to my child has bronchitis. Thus, they advice us to avoid scented products and to moisturize her delicate skin. By the way, I am surprised that even babies can have infantile eczema which can be triggered by antibiotics. Therefore, extra care is needed. This is really good article.It helps people better understand that use of antibiotics may increase the risk of developing eczema.Thanks for sharing it.